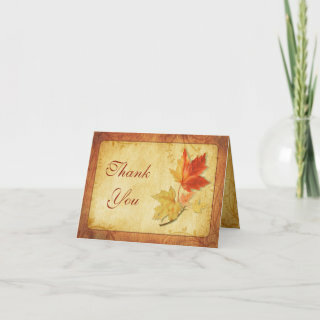 The text on this fall maple leaves wedding thank you card is fully customizable. You can change it using the personalize option. For more extensive changes to the card, including changing the font, font color, or font layout, choose the customize option.